The area bounded in blue on the map shows the area covered by flood alerts and warnings for River Tyne. Properties situated near Front Street, St. Andrews Terrace, Bridge End Cottages and Market Place. 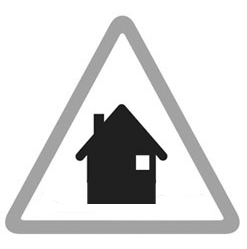 Properties and low lying areas around Wellbank and St. Andrews Terrace. Properties and low lying areas around Station Road, Little Croft and The Stanners, Cemetery Lodge, Corbridge Mill and The Willows.